Here’s a reminder to nominate a special teacher in your life! 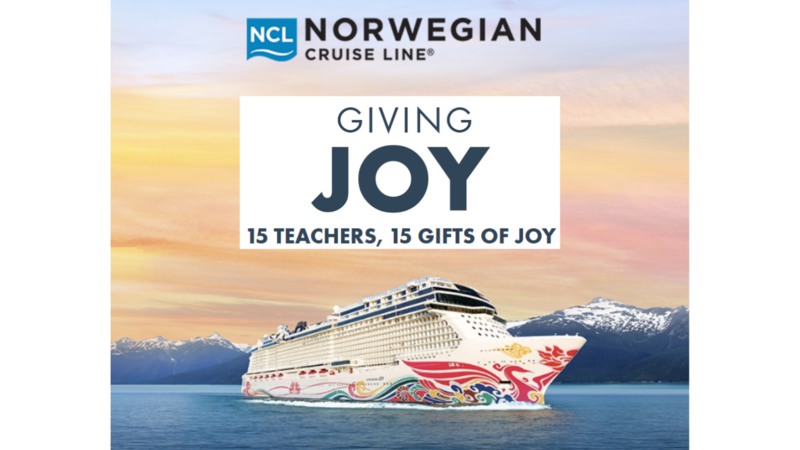 Norwegian Cruise Line is giving away a seven-day cruise to 15 deserving teachers from the US and Canada! Nominate a teacher by casting your vote and writing how they bring joy to the classrom in 250 words or less. Nominated teachers must be accredited and currently employed at a public or private elementary, middle or high school or at an accredited university or college. The top 15 teachers will win a free 7-day cruise for two, an invitation to an award ceremony on May 3 in Seattle (including airfare and accommodations) and the chance to win the grand prize of $15,000 for their school! Note: You can nominate as many people as you like, but you can only nominate the same individual once.